On the 8th of December 1864, Camille Claudel was born in Fère-en-Tardenois, Aisne, northern France. As a teenager, Claudel was determined to make it as an artist in Paris, so she convinced her parents to fund her studies at the Academie Colarossi. Here, she met Rodin who was filling in for her teacher Boucher. Very early on, Rodin saw the potential in Claudel’s creativity and invited her to join him in his studio as a model and assistant. She was only 18, living with her parents and ambitiously nurturing the artistic skill she discovered at the age of 12. Rodin was 24 years her senior, living with a son and his long-term (and long-suffering) companion seamstress Rose Beuret. Four years into their collaboration, Claudel and Rodin were deeply involved professionally, as well as romantically. The shocking contractual letter Rodin wrote to the young Claudel is telling of his obsession for her, presumably prompted by the rivalry of Beuret and insecurities of Claudel: “I will have for a student only M-elle Camille Claudel and I will protect her alone through all the means I have at my disposal through my friends who will be hers especially through my influential friends. I will accept no other students so that no other rival talent could be produced by chance, although I suppose that one rarely meets artists as naturally gifted…. After the exhibition in May we will go to Italy and will live there communally for at least six months of an indissoluble liaison after which Mademoiselle Cammille will be my wife. (…) I will take none of the models I have known…. Mademoiselle Camille promises to welcome me to her atelier four times a month until May.”(Odile Ayral-Clause, Camille Claudel: A Life, 2002). Claudel’s family was horrified by the affair and broke almost all links with her. With Beuret finding out at the end of 1888, Rodin had to move his mistress into an apartment near the Eiffel Tower, a romantic old town house formerly used by George Sand and Musset. By Ayral-Clause’s reports, Claudel never had another lover nor even a close friend again. Sadly, Rodin never kept the promises he made in his ‘contract’. Critics often saw Claudel as a shadow of the ‘Great Man’, the master. Yet, on the contrary, the two creative minds fed off each other competitively and Claudel constantly wanted to distance herself from Rodin. The latter admitted, “I showed her where she would find gold, but the gold she found is truly hers.” ( Morhardt, “Mlle Camille Claudel). She craved professional independence and wanted to prove to herself and the world that she could make it on her own. On those occasions when she tried to break free, Rodin was astounded and feeling wounded. He reportedly wept as he told friends that he no longer had control over her. Whilst she was holidaying on the Isle of Wight with a friend, he wrote to her: “I feel your terrible power. Have pity, cruel girl. I can’t go on, I can’t spend another day without seeing you….It is over, I don’t work any more, malevolent goddess.” (Odile Ayral-Clause, Camille Claudel: A Life, 2002). “Her best work dates from her periods of separation from Rodin. The subject matter of these works reveals a concern with the female condition based on her own experiences, a kind of autobiography through art.” (Louise R. Witherell, ‘Camille Claudel Rediscovered’, Woman’s Art Journal, Vol. 6, No. 1, Spring – Summer, 1985). One of Claudel’s most powerful and symbolic works, Sakuntala (1886-89), depicts a life-sized naked woman holding her breast with eyes closed, slumped over, while a man on his knees reaches up to envelope and support her in his arms. Their foreheads are touching, her thigh leans into his waist. The sculpture depicts an episode from a Hindu drama of separated lovers reuniting, collapsing into each other with wild abadon. It features one of Claudel’s formal trademarks: the unstable, forward-leaning structure. Her genius lay in her technical abilities and an expert eye for form, captured in powerful sensual poses. A similar piece called La Valse featuring a naked, embracing, waltzing couple was commissioned, then rejected by the state Ministry of Fine Arts because of its boldness. “The closeness of the sexual organs is rendered with a surprising sensuality,” wrote a Ministry inspector. Although draping the statue in order to get it accepted, Claudel never radically changed her style to please anyone or sell her work; she never went for fashionable elegance, but kept her focus on rhythm and sensuality. In 1898 Claudel finally managed to tear herself away from her all-consuming relationship with Rodin, but this is where her mind went into decline. An alleged abortion of Rodin’s child, tiredness, lack of funds and emotional support from family and friends and self-isolation drove her to paranoia. After the death of her loyal father in 1913, she went into total meltdown and her family committed her to a mental asylum five miles from Avignon. There she remained in what she referred to as a prison until her death 30 years later. Selfish reasons seemed to have driven her family to get her institutionalized: it is said that they feared her eccentricities would hinder her brother Paul’s glowing diplomatic career. Due to literature covering her life and art, in the past two decades, Claudel has started to shine as an artist in her own right. Yet, it is clear that at the time Rodin used her to his own benefit: physically she was his assistant on commissions, toiling on large figure sculptures, she sat for him as a model, supported him creatively as his muse and romantically as his lover. As a result, Rodin produced his best and most lyrical work while under her spell. The circumstances which wiped her out of his life and of society at large remain unknown. Whether or to what extent Claudel was insane is debatable. One thing is for sure, the contemporary norms assigned to women in her time did not fit her: it was men who were expected to be the alpha creators with sufficient drive and will to propulse their careers to success. The key to understanding Claudel’s downfall lies in her correspondence with Rodin as well as her father which was destroyed or is still hidden. As her body was buried in a mass grave, her secrets disappeared with her. what captivating eyes she has! I’ve always felt she had more talent than Rodin. thank you for this lovely article, enjoyed! A truly informative (inspiring) article/blog – enormous thank you for sharing! Interesting article. 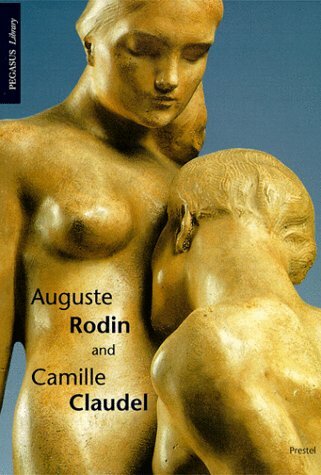 We also published an article devoted to Rodin. You can have a look and if possible, give me your feedback/ ways for improvement. Wow. Beautiful work, and what a fascinating story about her. So sad to learn that he produced his best work while under her spell, but she produced her best work while or after being separated from him.